Greetings, SNEB members. It is with mixed emotions that I announce my departure as the executive director for SNEB. I started with SNEB in 2002, doing membership and meetings, under the direction of then executive director Mary Ann Passi, and became executive director in 2008. 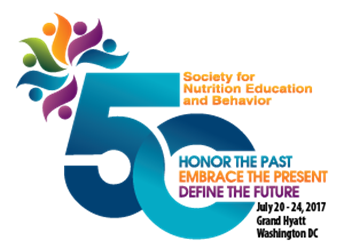 During those years, I have learned a great deal from so many of you and have been privileged to witness the tremendous passion you have for nutrition education and the Society. I will take those experiences with me as I make this change! 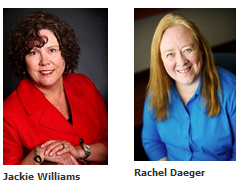 I leave you in the very capable hands of Rachel Daeger, who will be the new Executive Director. I will continue to work with Rachel, in an advisory capacity, through July 2017. Rachel needs little introduction to most of you, as she has been with SNEB for over five years and communicating with all of your throughout that time! She is a Certified Association Executive, which puts her in the top 5 percent amongst her colleagues. Rachel has touched nearly every aspect of SNEB business so is well-prepared to take on this new role. She shares your passion for SNEB's mission and is excited to lead SNEB going forward. Application deadline: Review of applications will begin on Jan. 13 and continue until the position is filled. Food and Nutrition Extension Education Pre-Conference Workshop Research and Program posters on the topic "Next Steps in PSE — Effective Evaluation Methods in Policies, Systems and Environmental (PSE) Interventions" to be held Thursday, July 20. Abstracts related to this year's conference theme: Honor the Past, Embrace the Present, Define the Future are also encouraged. As the first in a series of best methods of communication in nutrition education and behavior change, this webinar will guide participants to choosing best images for different audiences on various modes. Sponsored by the SNEB Communications Division. Support the next generation of nutrition educators! Massachusetts General Hospital via EuerkAlert!